Speaking during a recent initiative in Rome and organized by the non-profit organization Solidarité Identitès (SOL.ID), which is working in humanitarian activities in Kosovo, Myanmar, Palestine, Syria, South Africa and Kenya, the head of Hezbollah’s foreign affairs granted an interview to Agenzia Stampa Italia where he talks about the recent developments of the Syrian conflict and the role played by Hezbollah in Syria in recent years. Do you think that Russia’s diplomatic role and military presence in Syria could somehow contribute to a breakthrough in the Syrian conflict? Moussawi: It is necessary to clarify that Russia does not make any interference with its presence in Syria, because it is a friendly country of Syria, which it is tied to because of a historical alliance. From the beginning of this conflict, Russia was on the side of the Syrian’s government. What is happening today is that Russia has increased its support to Syria to counter the weight and the strength of the jihadi groups and takfiris, supported by large and powerful countries. Their strength is greater and therefore Russia’s greater commitment, as well as other friends of Syria, has the objective of ensuring security and of avoiding the fall of the government and of the country in general. We consider that Russia’s action has aimed at achieving peace in Syria. Destroying the power of the terrorists and stopping their funding and supports is the way to find a politico-diplomatic solution in Syria. Moussawi: And this is what’s happening. What idea do you have of these groups and militias operating in Syria? Moussawi: Everyone knows that Hezbollah has been fighting this war for years and that we have lost a large number of martyrs against this aggressive enemy. This was to protect Syria, and at the same time to protect also Lebanon. We are convinced that if the Syrian government falls, Lebanon will also suffer destructions. We say this with honor that with our intervention, we were able to stop these militias also intended at Lebanon, defeating them when they approached the very border of Lebanon. 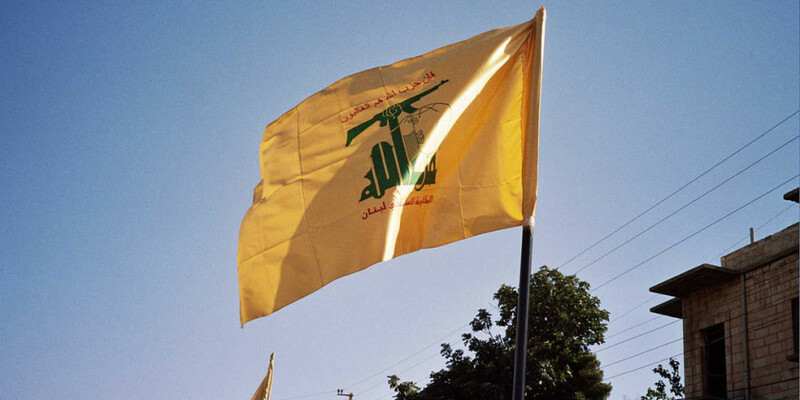 If Hezbollah had not taken part in this conflict, Isis would also be in Lebanon today. There is an interesting aspect in all of this and if we want, also central in the ongoing debate about the effectiveness of the coalition that should counter Isis. The military operations of the coalition have been under way for about a year but in practice, the only ground forces that confronted Isis are the Hezbollah, the Iranians, the Syrian army and the Kurds. Is there, in your opinion, a problem of not wanting to fight Isis or an underestimation of the threat? Moussawi: After a year of coalition we, as players involved in this war, have the right to evaluate the situation and assessments. After a year, we have the right to ask the coalition and the United States What did you resolve? ISIS is now more powerful and has expanded its influence more than it was a year ago. This means one of two things. Either that the coalition is not up to destroy ISIS or that it does not have the desire and the will to do it. From my point of view, I consider both options: there was neither the will nor the force to fight ISIS. If the situation is what it is today, the only thing that the coalition should do is to step aside and to give the possibility to whoever has the ability to fight ISIS to do it and to do it seriously. When Putin says that he wants to fight ISIS, it’s his legitimate right because he is concerned that the phenomenon could spread to Russia. If Russia comes to Syria with the cooperation of the Syrian army, Russia is conducting action in a way that is in accordance with international law. This is very different approach from those who go to fight ISIS without the cooperation of the Syrian government, going in fact to intervene in Syria without any coordination with Damascus and flying over Syrian airspace without any authorization. How do you see Prime Minister Netanyahu’s recent visit to Russia and what do you think are the fears of Israel in light of the scenario that is emerging in Syria? Moussawi: Netanyahu is concerned that the Russian participation in Syria would become a barrier to Israeli actions in Syria. In recent years, Israel has been able to do whatever it wanted in Syria. The Russian presence worries Netanyahu because it restricts the possible actions of Israel in Syria. What is your opinion about the protest movement in Lebanon that broke down in the streets against the lack of garbage collection, but which clearly has connotations that go beyond this emergency? Moussawi: We understand that there may be a movement like this that is asking Lebanese governors and politicians to work more and to be more serious to listen and solve the problems of the population. We understand and we are in solidarity with them and we say that it’s time to find solutions for all these economic and social problems of everyday life in Lebanon.